Safety. Savings. Peace of Mind. Our goal is keep you and your family safe and comfortable. 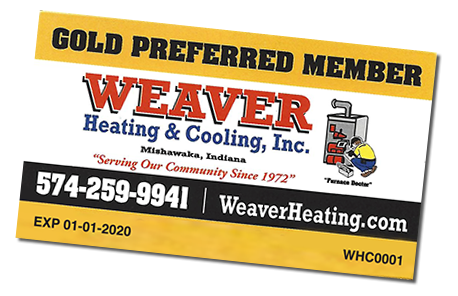 Below we have outlined exactly what you can expect when hiring Weaver Heating and Cooling for your HVAC needs. - Safety through two annual inspections a year. - Savings through regular maintenance, parts and labor discounts and no extra emergency fees. - Peace of mind because you'll be able to count on your heating & air conditioning systems when you need them most. We will keep you and your family safe and secure with an annual heating inspection. This will significantly reduce the risk of break downs on all types of heating systems, ensuring that your equipment is running at peak performance. We will also perform an annual air conditioner inspection. This will ensure the system is running at peak efficiency and extend the life of your air conditioner. In addition to keeping your family safe, our heating & air conditioning inspections will save you money. 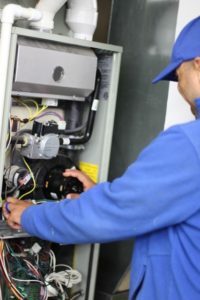 They'll ensure your systems run at peak efficiency and extend the lives of your heating and air conditioning systems. Should you need heating and air conditioning service, you will receive 15% off parts and labor. Call us anytime of the day or night. There is no extra fee for emergency service, no matter when we come to your home. You can rest easy knowing our inspections mean you will be able to count on your heating and air conditioning systems when you need them most. If you need service we will be here to help. As a Gold Preferred Member your call will be scheduled ahead of others, which is particularly important if you need us on one of the hottest or coldest days of the year. This applies to both routine and emergency calls. We guarantee your complete satisfaction. If you are not fully satisfied, we will make it right. We will follow up with a phone call to ensure your complete satisfaction. Your Service Partner Plan agreement can be transferred to your new home or to the buyer of the home you are selling. We show respect for your home by wearing protective shoe covers, using work mats and thoroughly cleaning our workspaces. We will follow up with a phone call and customer comment card to ensure your complete satisfaction. If you are not 100% happy, we will make it right or you won't pay.